I think there’s magic in misery. When you’re struggling … that’s when you feel most alive. SPOILER ALERT: The Harding Hustle is ill-named. With two months as a SoCal resident behind me and the entire summer ahead, it was high time to shift my racing season into gear. I figured I’d ease into the local racing scene and start with something to coax my slow-twitch muscles out of hiberation… maybe a family-friendly Rock ‘n’ Roll-type race with balloons for the kids, guest appearances by Dodgers and Lakers players, and a post-race concert by some band I used to’ve heard of like Ozomatli. Runners of all shapes, sizes and shoe fetishes would gather to showcase their new gear and immerse themselves in a civic spectacle of colorful sponsor booths, adrenalizing live music and and raucous spectating crowds. What better opportunity to soak in the festive life-force of my new running community? The sights! The sounds! The pageantry! The free energy bar samples! If only, I thought ruefully as Katie and I approached Modjeska Canyon early last Saturday morning, our quiet Civic Hybrid moving smoothly past the even quieter rustic homes laid out along Santiago Canyon Road. The peaceful glow of impending sunrise, and the sleepy silence of our rural surroundings, served to arouse rather than calm the restless butterflies – and partially digested granola – filling my gut. The sublime promise of the day stood in stark contrast to the ominous reality of what I was about to do with it. Promising yet ominous, I thought. Prominous. Our destination: the Tucker Wildlife Sanctuary in the Cleveland National Forest, a 460,000-acre chaparral-rich expanse in eastern Orange County, and – more relevant to us – the setting for Dirty Feet Productions’ Harding Hustle 50K trail race. The 31-mile race course would lead its prey runners to the top of Saddleback via an ascent of its twin peaks, Modjeska and Santiago, before following the same route back down to the finish. I was looking forward to this race not only as my SoCal inaugural, but also as an opportunity to exact some sort of running revenge for my first and only battle with the mountain six months earlier. But what a difference six months would make. My initial outing on Saddleback had ended unceremoniously after a four-mile ascent, when an unexpected blizzard – the snowy kind, not the Dairy Queen kind – had forced me to do something I’ve only ever done in extreme conditions: cut short a training run. Mountain 1, Mike 0. So then, reasoned my twisted trail-running brain, it seemed almost fitting that my return to Modjeska promised the opposite extreme – a true trial by fire, with 90+°F temperatures ensuring a nearly 70°F difference relative to that bizarre December day. If I was going to step up and even the score on Saturday, then the mountain was damn well going to make me earn it. Suddenly Antarctica – and the coldest race of my life just three months earlier – seemed very long ago. The 72 hours leading up to race day had done nothing to ease my mind, as doomsday-dealing meteorologists filled my head with graphic predictions of the impending climatic apocalypse. A heat wave the likes of which the Western U.S. had never seen. Scientists carefully monitoring the mercury in Death Valley – historically the hottest place on the planet – where temperatures threatened to top 130°F. Record high temperatures up and down the West Coast. Already one foot race had succumbed to the atmospheric pressure: the folks at Calico Racing, who boldly advertise their Running With The Devil Marathon in Boulder City, NV as “Held in summer thru the dry Mojave Desert, athletes will be challenged to contend with high heat,” canceled the race due to concerns about excessive heat. I don’t care if Satan himself shows up wearing a visor and Nathan hydration pack – if your race has “Devil” in its name, you can’t cancel under any circumstances. I comforted myself with the news that the Western States 100-Mile Endurance Run from Squaw Valley to Auburn CA, would be conducting business as usual on Saturday. With hundreds of trail runners eager to endure 100 miles of blood, sweat and tears through the Sierras in 100°F heat for a chance at a silver belt buckle, why was I sweating what basically amounted to a fun run by comparison? Besides, running up and down a mountain in scorching temperatures would provide a sense of whether two months in SoCal had improved my Bay Area-depleted heat tolerance. Given a red blood cell’s average life span of ~120 days, I no doubt still had some thin Bay Area blood coursing through my veins. Twenty years spent growing up in Texas now seemed a lifetime away, and I was eager to resuscitate my affection for crazy heat. Whereas advice columns in Runner’s World or on Active.com consistently advocate early-morning runs to avoid midday summer heat, I’ve always preferred to run when the sun is high in the sky and with my Mom’s mantra of “That can’t be good for you” looping in my head. I’d done what I could to prepare for the day’s heat: visor, arm sleeves, fingerless gloves and a neck gaiter would not only shield my pale skin from the sun’s onslaught but also, as I learned at the Mount Diablo 50K last year, absorb and hold the cold water I planned to douse myself with at every aid station. Sunscreen covered all exposed regions. Both handheld bottles of Skratch Labs mix were frozen solid from their two days spent in the freezer. I’d even heeded easy-to-follow nutritional advice from a recent issue of Trail Runner, and blended some cherry/lime juice with crushed ice in an attempt to drop my internal body temperature ever so slightly and extend my time ‘til exhaustion. Short of borrowing Frozone’s super suit, I’d done about all I could to buffer myself against the oppressive heat. Hey! No paparazzi in the staging area! We’d planned to arrive at 5:30am for a 6:00am start. But characteristic “Who knew THAT was there?” L.A. freeway closures forced us to spend 15 harried minutes touring the back streets of Long Beach, so that we didn’t pull into the Tucker Wildlife Sanctuary until 5:45am. Fortunately we still beat the 5:30am shuttle bus by at least ten minutes, and Katie was able to find parking near the start. Because the 30K and 15K races wouldn’t start until 7:30am and 9:00am, respectively, the staging area at sunrise belonged to the sparse crowd of 50Kers, for which the two provided porta-potties proved to be sufficient (I easily accessed them twice in 15 minutes). Yet another benefit of low-key trail races! Chuck and Laura arrived shortly after us. Chuck, still rehabbing a hamstring injury, had volunteered to photograph the race from a vantage point near the start line, so he immediately set off up the mountain to scope out his position. Meanwhile, Laura informed us that she’d probably drop down from the 50K to the 30K distance after she’d inexplicably decided to run a local marathon THE PREVIOUS DAY. After a brief delay to accommodate runners on the late-arriving shuttle, race director Jessica – looking SoCal-fit in a black tanktop – gathered the small contingent of 50K runners around the start line. She asked how many of us would be running this race for the first time, in response to which a surprising number of hands shot up. Nodding and with a knowing smile, she told us to be smart and careful up on the mountain (bit late for that…). Then, at 6:18am, the 2013 Harding Hustle was officially underway. The lead pack – five male runners and ultrarunning phenom Michelle Barton, whom I’d met at Griffith Park last year – immediately surged ahead up the Harding Truck Trail, while I fell in behind them among the top ten. Certainly I’d expected this immediate ascent, which spurned my naïve attempts to catch my second wind… but that awareness did little to ease the initial discomfort as I huffed my way like a chain smoker up the steady grade. Staying to the inside as I rounded one early curve, I smiled to myself and thought, Yeah, run those tangents… that’s what’s going to save you today. All around and above us, sun-baked chaparral comingled with scattered green shrubbery, each waging its silent war for control of the mountain. About half a mile up the trail, I saw Chuck and flashed an exaggerated “happy runner” smile that I was pretty certain would fail me at that same point 30 miles and several hours later. My racing strategy for this day was simple: make hay while the sun didn’t shine. Given the early start time and limited shade, I’d resolved to get up the mountain as quickly as possible, before the unchecked sun wrested control of its dominion and beat my best-laid plans into submission. 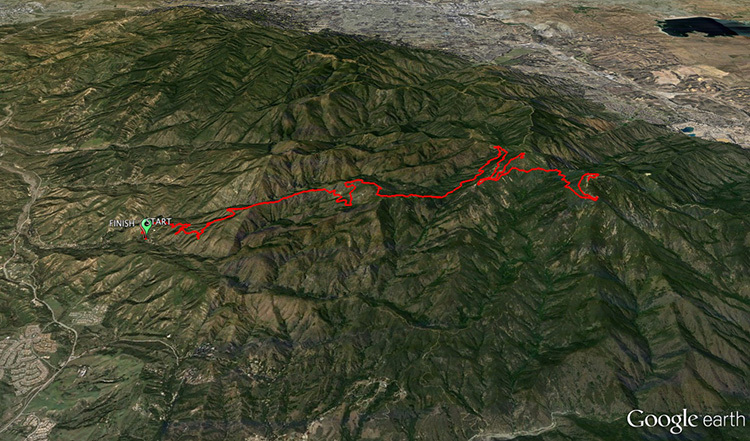 Once I reached Modjeska Peak, 11.5 miles and 4,000ft away, then I’d worry about the next 19.5 miles. For now, though, only the first 11.5 mattered. With that in mind I set what felt like a fairly brisk pace up the mountain, stopping only briefly at the first aid station (mile 4.6) to pour ice water on my head, neck and arms, a ritual I’d repeat at every opportunity. While the lead pack of male runners quickly vanished from view, I managed to keep Michelle – who held a sizable lead over the closest female – within my sights until shortly after mile 3, at which point I realized I was actually gaining ground on her. Then I was on her heels. Then, in a fleeting moment of surrealization, I actually passed her. “Good job!” she encouraged, as she would each time our paths crossed during the race. I was psyched I’d been able to stay with her for any length of time on these her hometown trails, but I knew my lead would be short-lived, particularly with so much downhill still ahead of us. Sure enough, she overtook me during a downhill stretch between miles 7 and 8, and that would be the last time we’d trade places as she kicked into “Barton gear” and dusted me. But those four miles had been the highlight of an otherwise arduous – and at times seemingly endless – climb. At the Maple Springs aid station (mile 9.1) I filled a small Ziploc bag with ice, folded it into my neck gaiter, and wore it in that position – with periodic refilling – throughout the race. So far, I was doing a much better job of managing the day’s heat than I had at Mt. Diablo. Except that, well, there really was no heat. At least not heat like we’d been led to expect. Because a funny thing happened on the way up that mountain – apparently someone forgot to tell the sun the race had started. I ran the vast majority of the first nine miles in shade. As the course wound its way around the mountain, only occasionally – and then transiently – did it expose itself to the eastern sky. Not until I reached Maple Springs did the sun finally fight its way over the mountain and start to flex its muscle. But nine comfortable miles was significantly more than I’d expected, and I didn’t envy the late-starting 30K and 15K runners who wouldn’t be so lucky. That mindset did an about-face at mile 9, however, as the 30K and 50K courses went their dramatically separate ways, the 30K reversing course back down the mountain while the 50K set its sights on the summit. Once the sun came out to stay the 50K course bared its fangs, with two ascents of Modjeska Peak (elevation 5,384ft) and one ascent of Santiago Peak (elevation 5,687ft) lying in wait. The latter would take us to the summit of Saddleback. These three out-and-back ascents comprised a stretch of nine miles at roughly a mile above sea level. I’d been so focused on the weather in my pre-race prep that the possibility of an elevation vexation had never occurred to me. Granted we were only a mile high – not like we were scaling the Rockies here – but together with the persistent grade and the mounting heat, the elevation added yet another brick to the ever-increasing load I was hauling. Fortunately the third aid station (Modjeska, mile 10.5) was positioned at the juncture of these three out-and-backs, so that 50K runners passed it a total of four times (see “Production” below for more about this excellent aid station). I was feeling upbeat as I passed this aid station on my first climb up to Modjeska Peak. Here, though, the terrain quickly transitioned from moderately rocky to “glacial moraine” rocky, and my pace slowed as I cautiously picked my way uphill over the sharp and loosely packed rocks scattered across the trail. I was taking care to lift my feet so I wouldn’t misstep and end up kissing the rocks, and this combined with the now-constancy of the sun’s rays sapped much of my remaining energy reserve. It didn’t help that the sun shining from behind cast my shadow across the rock-strewn terrain ahead of me, shrouding my next three steps in deep shade that contrasted harshly with the near-blinding glare of its surroundings. By the time I reached Modjeska Peak and the barely accessible turnaround point, indicated by white flour arrows amid a pile of boulders, I was good and ready for the next mile of downhill. Unfortunately nobody had bothered to clear out the rocks and smooth out the ground behind me, so the descent was almost as tenuous as the ascent had been. This sure felt like more than two miles. Finally I reached the strategically positioned Modjeska aid station, soaked my upper body in ice water, and followed the slight downhill grade toward Santiago Peak. Just as I was beginning to enjoy running downhill on the hard-packed dirt, the trail realized its mistake and reversed trajectory on its way to the summit. Doing some muddled math in my head to pass the time, I calculated that the out-and-back to Santiago Peak would chew up just over six miles, considerably more than the relatively short ascent of Modjeska Peak. These would truly be the “grin and bear it” miles of the race. Mile 14, and I continued to shuffle along at a slow but steady jogging pace. Once, then twice, I stubbed my foot on rocks embedded in the trail, stumbling briefly each time before catching myself. Then, as if I were a prize fighter and the first two stumbles had simply been quick jabs to set up the mountain’s right hook, I slammed my foot solidly into a barely-there rock and went sprawling on my right side across the dusty trail. Hopping back up with an embarrassed string of curses, I dusted myself off and shuffled on. No other runners in sight. No blood, no foul I reflected, before looking down at my dirt-brown palms to see a small scarlet circle seeping through my glove. Now we’re trail racing, I thought wryly as I pushed forward. Fortunately, my ego had sustained most of the damage from the fall, and that wake-up call would be my only taste of the trail on this day. But I’m nothing if not a quick learner, and my spill told me it was time to slow down and power-hike a short distance to refresh my legs and regain my stride. The fourth- (previously second-) place male passed me moving slowly in the other direction, saw me hiking and huffed, “So you blew your load too, huh?” I guess, I thought vexedly, if you call running uphill as hard and as smart as I could for as long as I could before succumbing to the effects of unrelenting heat “blowing my load,” then yeah, I guess that’s what I did. I wondered whether he’d be greeting every runner behind me with that same uplifting pronouncement. At last the antennas of Santiago Peak rose ahead of me, and with one last uphill thrust I reached the summit of Saddleback in 3:06:08 and in 11th place, 24 minutes behind overall leader and eventual winner Ramiro Santos, and ten minutes behind Michelle. As I shuffled by with the aid station in my sights, a volunteer working the checkpoint with clipboard in hand exclaimed supportively, “Great job 141 [my bib number], you’re making this look easy!” If by “this” you mean “suffering,” then yes I’d have to agree. Despite my fatigue and semi-overheated state, the nearly 360° sweeping views of Orange and Riverside Counties that greeted me at Santiago Peak were expansive and rejuvenating. Taking some photos with my mental camera, I turned my attention to the aid station where I repeated my dousing ritual, downed a cup of ice-cold Coke to spike my blood sugar and reloaded my Ziploc bag with ice. Thanking all the mile-high volunteers and with their collective cheers propelling me forward, I directed my course back down the mountain. I reached the juncture of the Modjeska and Santiago Peak trails – which I could’ve sworn they’d moved back since my last visit – without further incident, briefly recovered in the shade of the aid station awning, and turned my sights toward Modjeska Peak once more. 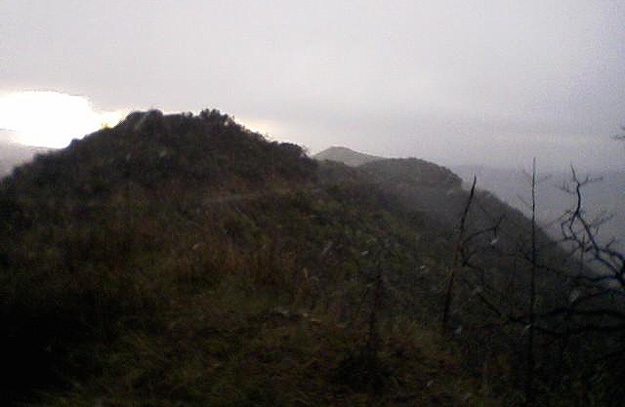 This was it – one final ascent awaited me before 11.5 miles of nearly continuous downhill. With tortoise-like efficiency I power-hiked most of that final mile up to Modjeska, my legs now ill-suited to tackle the precarious rocky terrain at a jog. Accessing the turnaround point was just as taxing the second time, but I allowed myself an energized pump of the fist as I made a deliberate 180° turn and started back down the implacable mountain. Next stop, I mused exhaustedly, the finish line. Soon the trail spat me out at the now-familiar Modjeska aid station, where I snacked on two orange slices, refilled one water bottle with an unidentified electrolyte mix (yes, I should have known better, but it sounded appealing at the time), and turned my back on the twin peaks of Saddleback. See you again soon?, I could almost hear them ask amusedly. All that lay between me and a 50K PR was a smooth downhill jaunt to the finish. Or so I thought. My biggest miscalculation of the day would be in looking forward to that “smooth downhill jaunt.” I figured that with gravity at my side, I’d be able to maintain a leisurely but consistent downhill jogging pace from the Modjeska aid station, maybe overtake a couple of other runners along the way, and finish strong. Alas ignorance, in this case, was not bliss. The final 10.5 miles quickly became the most soul-sucking of the day. With the sun rapidly approaching its zenith and saturating the course, I experienced a generalized lethargy… not fatigue as such, but rather a curious heaviness of movement. My quads felt leaden, my lungs felt leaden. I breathed in short shallow breaths and, as had been the case at Diablo, any attempt to breathe deeply was met with protest from my internal organs. I began to power-hike increasingly lengthy stretches – as much as a mile at one point – until finally my woolly brain traced the cause: this wasn’t heat exhaustion per se that was crushing my hopes of a negative split… the air was simply unbreathable. The intense heat had warmed the air to such an extent that every breath weighed heavily in my lungs and left my mouth as dry as if I’d been chewing on cotton balls. My muscles felt depleted of oxygen, not unlike (although not as dramatically as) the final two miles of the Pikes Peak Ascent. Despite my recent heat training, I’d been unable to prepare for this. The rhythmic splut, splut, splut of the slush-filled Ziploc bag in my neck gaiter echoed my footfalls as I ran. At one point, presumably while running with my mouth open, I started to drool but quickly caught myself, thinking Whoops, better hold on to that, I may need it later. I extended my stays at the last two aid stations (miles 22 and 26.5) as I paced in circles, trying to get comfortable in my own skin while avoiding the temptation to collapse in a chair. The Maple Springs aid station offered little room under its awning for runners seeking shade, so there I dumped my ill-advised electrolyte drink, refilled with water, removed my second bottle of Skratch Labs mix from my pack (awesomely, it was still cool after starting the day frozen solid), and moved on. The final aid station at Laurel Springs had run out of potable ice by the time I arrived. There I loitered a bit longer, assuring a park ranger I was good to go despite my obvious discomfort and the dirt covering my right side. At last, with a feeling of resigned reluctance, I continued on my way, knowing those final 4.6 miles to the finish would likely be the longest of my life. It’s amazing how much resistance even the slightest uphill can provide when you’re ill-prepared to handle it. I was forced to power-hike most of mile 25, as well as the final short sharp ascent just after mile 30. Soon after, though, I turned a corner to see Chuck – was this the happiest I’d ever been to see him? – still manning his sun-drenched photographer’s post. I offered him my half-full water bottle but he declined, and I switchbacked my way down the mountain as he yelled encouragement. Excusing my way past three 30K runners who were blocking the trail, I surged down the home stretch, where the Harding Truck Trail dumped me right in front of a smiling crowd of one – Katie! Raising both water bottles in triumph, I made an immediate right turn and floated across the final 20 yards of asphalt, her emphatic cheers carrying me across the finish line (like the start, a chalk line scrawled on the ground) in 6:33:45. I’d bested my Mt. Diablo 50K time (my previous PR) by 66 minutes, and despite the unforgiving heat had felt better doing it… though in its defense, Diablo had pummeled its guests with nearly 3,000ft more of elevation gain. In any case, my insistence on running small races with strong fields is doing nothing to help my overall race percentile. Immediately a watchful volunteer hurried over to offer me an ice-cold bottle of water. “Where you going?” the woman sitting at the official timing table asked alertly as I turned away from the young volunteer proffering my medal. “Just walking it off,” I assured her. And that I was, though those first few moments after crossing the finish line – when swelling pride meets diminishing adrenaline – are the never-get-back moments I try to always appreciate and never take for granted. In the end, Furnace Creek in Death Valley topped out at 127°F on Saturday, falling short of its own world record high of 134°F set a century ago. Closer to home, though, the thermometer at the Tucker Wildlife Sanctuary read 98°F as I crossed the finish line, and one forest ranger reported a reading of 107°F near Santiago Peak. The heat had wreaked havoc on my in-race fueling strategy. With my stomach refusing to cooperate, I’d forsaken all the nutrition in my pack and eaten just two orange slices over the course of 31.5 miles. 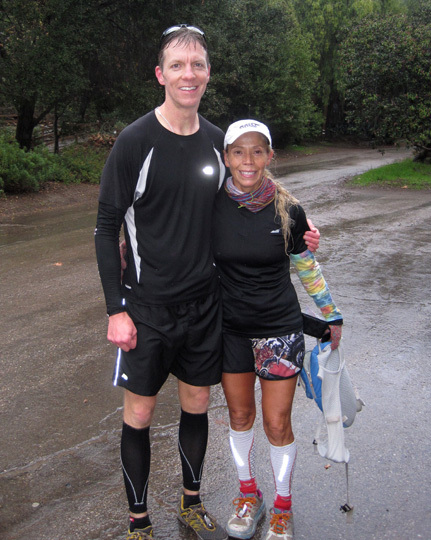 I did, however, stay reasonably well-hydrated with bottle after bottle of water and Skratch Labs mix, the latter generously provided by my running buddy Jimmy up in the Bay Area. I’d definitely recommend it as a light and easy-to-drink alternative to heavier, sweeter electrolyte mixes. After gratefully accepting my medal, I spent 30 minutes or so sprawled out on my back staring up at the underside of a tree. There I dreamily scrutinized the geometry of each leaf in my field of vision while Katie and Laura thoughtfully brought me water and Gatorade. After starting with the 50K runners, Laura had finished her 30K in 4:21:37, an impressive effort considering she’d run a full marathon just 24 hours earlier. Nurse! We need 50 cc of fruit punch Gatorade over here, STAT! As for the 50K, Ramiro Santos won the day in 4:57:19, the only runner to finish in under five hours. Maybe more remarkably, he did it dressed in black long sleeves and black pants. As expected, Michelle Barton dominated the female division in 5:31:33, finishing 50 minutes ahead of her closest competition. Afterwards, she declared the race “so hot it was like a mini Badwater.” She should know – she conquered the self-proclaimed “world’s toughest foot race” back in 2010. Bottom line, what a Saturday for the ages: Although there’d been very little hustling on my part, I’d renewed my rivalry with Saddleback, ascended its twin peaks three times in near-100°F heat, absorbed the worst that the mountain and its conspiratorial sun could throw at me (except snakes, there’d been no snakes), and ultimately thrashed my 50K PR time by over an hour. All in all, I’d rate the day a resounding victory for the good guys. Mountain 1, Mike 1. I’d say we need a rubber match. PRODUCTION: Saddleback is the undisputed star of the Harding Hustle, and Jessica and her crew did a commendable job of ensuring it took center stage. The course – for the most part a single easy-to-follow trail (the Harding Truck Trail) with few diversions – was well-marked with pink ribbons and white flour in appropriate places, and I can’t imagine any runner took a wrong turn. The race started 18 minutes later than its scheduled 6:00a.m. start time to accommodate the late-arriving shuttle and other minor delays. And while normally I wouldn’t (literally) sweat a late start time, in this case every minute counted as we raced the sun up the mountain. Race organization was competent yet decidedly low-key, in keeping with the ethos of trail racing. No sponsor booths, no swag bags filled with coupons destined for the recycling bin, nothing but a simple “START/FINISH” sign set up in the vicinity of the actual start and finish. Chuck and one other photographer (I think, though I have yet to see his photos posted) were positioned along the course; Chuck made his photos freely available online after the race, as did several volunteers at the various aid stations. The four aid stations strategically positioned along the course were well-stocked with ice, electrolyte drink and GU – some aid stations offered other sugary snacks as well, such as oranges and soft drinks. The Laurel Springs aid station had run out of potable ice by the time I arrived, though a cooler full of non-potable ice was still available for dunking hats and body parts. The post-race spread included several hot food options, though unfortunately my stomach’s continuing policy of isolationism meant all food options were eschewed in favor of Gatorade, and plenty of it. As for swag, Jessica provided race t-shirts from Greenlayer in two attractive color options, maroon/white and olive green/yellow. Unfortunately, because so many runners registered after she’d placed her initial t-shirt order, she ran out of the green/yellow version in my size before I could claim one. No worries, though… she assured us in her post-race email that she’s placed another order, and more t-shirts of the appropriate size should be available in a few weeks. Most importantly, we runners owe an enormous debt of gratitude to the folks who freely donated their time and energy to sit outside for hours in the sweltering sun and suffocating heat, all to support us runners. Talk about a thankless job, I don’t care how many free race entries they’re getting for their efforts. They were one and all volunteerrific, from the folks who tirelessly worked the aid stations to ensure every last runner was taken care of, to those who congratulated and took care of us once we arrived back at the start/finish area at the Tucker Wildlife Sanctuary. In particular, Gary and Joe at the Modjeska aid station were amazing – I can’t say I’ve ever taken the time to introduce myself to volunteers at an aid station before, but these guys were that good. Four times I passed their aid station, and four times Gary was like a perpetual motion machine – filling bottles, icing down hats, and even offering to hold my water bottle during my first two-mile round trip up to Modjeska. He greeted runners as they approached, asked what he could get them, then hastened to fill their request as efficiently as possible. I rarely get service like that when I’m tipping 20%. So a huge shout-out to Gary and Joe, and to all the volunteers without whom races – and especially out-of-the-way trail races like the Harding Hustle – would never happen. Chuck likes to ask after a race, “What would you have done differently if you were in charge?” In the case of the Harding Hustle, not a whole lot actually, since constructing a climate-controlled dome over Saddleback is probably more of a long-term project. My main modification would be to start the race earlier than 6:00a.m… with sunrise at 5:44a.m., a 5:30a.m. start time wouldn’t be unreasonable. Although this year’s heat was admittedly extreme, a race on Saddleback in late June will more often than not qualify as a “hot weather race” (Jessica’s words). While I’m at it, I might go ahead and rename the race. Since we’re so close to Hollywood, maybe call it the “Close Encounters of the Thirst Kind” 50K. Or sign on Dos Equis as a sponsor and relaunch it as the “Stay Thirsty, My Friends” 50K – with the added bonus of a sponsor beer tent in the finish area. Or, as a less radical but more honest departure from the current name, I might suggest the “Hardly Hustle” 50K. Did I mention it was hot out there? GEAR: My Columbia arm sleeves and gloves admirably did their job of protecting my skin and absorbing cold water, but the game changer I’d recommend to anyone running a similar race would be the neck gaiter. My Buff gaiter was light enough to travel surreptitiously, UV-protective enough to re-buff the sun, and flexible enough to cradle a slush-filled Ziploc bag in place for over 20 miles. It literally saved my neck. BOTTOM LINE: If you appreciate a low-key, challenging trail race and aren’t deterred by the possibility of spontaneously combusting on the course, the Harding Hustle is your cup of (hot) tea. I can definitely see myself taking another stab at the mountain, just as soon as my selective memory kicks in and rebrands the experience in my mind as the “Harding Happy Hour.” Thanks to the Tucker Wildlife Sanctuary (which received a portion of the race proceeds) for allowing a bunch of Pig-Pens like us to use their facilities, and much appreciation to Jessica for staging a memorable and well-organized day of fun on some excellent trails. TRIVIA ANSWER: The image represents an Afro, which together with the race’s name evokes the Hustles, or disco dances, that were popular in the 70s. Mother Nature doesn’t care if you’re having fun. Actually, the steady uphill jog on nice wide dirt trail was the plan, the reason I was here. But freezing temperatures? Near-blizzard conditions? And a disturbingly cold headwind that was – almost scornfully – treating my rain-soaked body like high-school football players treat one of those paper banners that cheerleaders hold up at the beginning of games? Using the ten fingersicles on the ends of my arms as blunt-force instruments, I brutishly hammered out a text to let Katie and Chuck know I was halving my intended 8-mile ascent and turning around. This was turning out to be a typical winter run in our Midwestern United States. Except this wasn’t the Midwest… this was Southern California. Orange County, to be exact. Average yearly snowfall of zero inches. And that’s rounding up. So I could hardly be blamed for finding myself in a driving snowstorm, wearing my usual comfortable winter running gear of t-shirt and shorts. And the finishing touch – the coup de grâce in this absurd comedy of errors – was the bottle of cold coconut water that now threatened to drain all remaining feeling from the fingers wrapped tightly around it. It was only natural to ask how this had happened. Much as I wanted to, I couldn’t really blame my brother for this one. 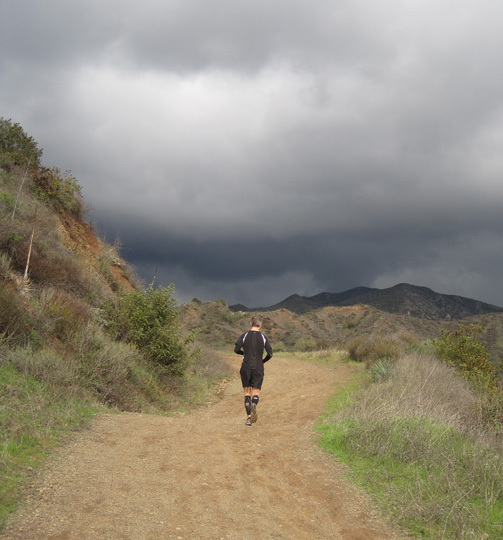 True, it was Chuck who had – after careful consideration – recommended I run the Harding Truck Trail to Modjeska Peak during our New Year’s visit to SoCal. And the elevation profile from his Garmin had sealed the deal, showing a daunting route that began at ~1,400ft and summited 12 miles later at ~5,400ft, making Modjeska second only to its next-door neighbor Santiago as the highest peak in Orange County. How could I refuse an offer like that, with an ascent unavailable in the Bay Area? And so, begrudgingly, I let Chuck off the hook. 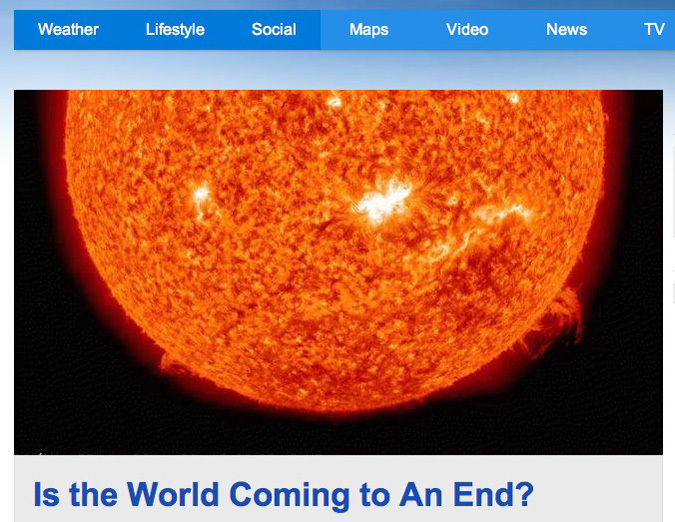 Certainly The Weather Channel had steered me wrong. Moments before we’d hit the road for Modjeska, I’d checked Weather.com and found a forecast of low 50s and a 10% chance of precipitation for the area around Modjeska Canyon. And even if I were to get wet out on the trail, no worries… I’d just managed eight miles in a steady SoCal downpour 24 hours earlier, and in the process gained a front-row seat to a magnificent full (and near-double) rainbow stretching from Laguna Niguel to Dana Point. I could almost hear the leprechauns on each end frolicking in their piles of gold coins. Plus, I’d maintained a respectable pace on slick sidewalks. So more rain wasn’t a concern, despite the mud it would generate. But driving snow? No, this definitely wasn’t part of the plan. I’m not the superstitious type, but maybe simple karma was to blame here. After Amy recently wrote about her winter training in Albuquerque, I’d joked that as a Californian I enjoyed “hearing other people’s stories of training in cold weather, without being able to relate in any way.” So maybe I’d brought this on myself – a (literally) cold (literally) hard lesson in winter-weather empathy. But let me rewind a bit: last Sunday seemed like any other characteristically mild winter day in SoCal, as Katie and I made the 20-mile drive out to Modjeska Canyon. Approaching our destination, I realized I’d forgotten my water bottle, so we made a brief pitstop to buy cold coconut water. A surprisingly sharp chill greeted us as we stepped out of the car, intensified by a monochromatic gray sky that overpowered the usual Orange County sunshine. Meanwhile, our car’s “outdoor temp” display read a balmy 55°. Ideal winter running weather. We met Chuck and Laura at the Tucker Wildlife Sanctuary, at the foot of Modjeska Peak. Conveniently (for him), Chuck was nursing an injured hamstring, so Laura and I would be running this one by ourselves. In the men’s room hung a sign announcing the park’s recent loss of state funding, and imploring the reader to bring extra toilet paper, paper towels and hand soap with them to share on their next visit. Ah, California… the golden beholden state. The warning chill in the air prompted me to pull on my arm sleeves – my usual ample protection against the California winter. As Laura and I trotted toward the dirt to start our immediate ascent on the Harding Truck Trail, a gray-bearded fellow in a faded baseball cap leaned out the window of his pickup truck, smiled and declared “You’re just in time for the rain!” Though the skies remained bleak the air remained dry, and I smiled back absentmindedly as we trotted on without a second thought. Dirt or not, it wasn’t like me and my trusty Mix Masters couldn’t handle a bit of rain. With no level-ground opportunity to warm up my legs and lungs, I acclimated to the ascent by jogging alongside Laura for the first few minutes. Chuck awaited us at the ¼-mile mark with camera in hand. Laura and I chatted and set expectations: since she hoped to run a low-key New Year’s Eve marathon the next day, her goal on this day was ten miles (five up, five down). Despite our late start, I was aiming to cover 16 miles (eight up, eight down) and experience as much of the trail as possible on my first outing. So Laura would most likely be done and gone by the time I found my way back to where Katie awaited at the wildlife sanctuary. At the ¾-mile mark I picked up my pace and pulled ahead of Laura – I’m more of an uphiller, she’s more of a down-hiller, as I’d be reminded later. I was eager to tackle the trail and find out how it stacked up against my favorite Bay Area hills. Ironic that my main concern at the start of this run – the persistent ascent – would quickly become my least. At the one-mile mark the course’s uphill trajectory gives way to a brief ¼-mile downhill jag. Here I further increased my pace and fell into a comfortable rhythm. Bounding along I had the trail more or less to myself, and I planned to savor my light-footed feeling before the coming uphill grind took its toll. The previous day’s showers had softened the dirt just enough to provide optimal footing – not too dusty, not too muddy, with just the right combination of firmness and tack. Glancing up and ahead of me, I noticed for the first time that the light-gray clouds had yielded to a dark, ominous haze that now engulfed Saddleback Mountain – comprising Modjeska and Santiago Peaks – and which threatened to swallow all remaining light. Suddenly my surroundings looked like a Photoshop creation, as though someone had applied a “Middle-earth” filter to the scene: had I left Orange County and entered the Misty Mountains? My first sense that a light mist had begun to fall was the tiny droplets that splashed against my sunglasses and merged into a watery film (yes, sunglasses, I was naïvely confident that the sun would eventually break through the clouds… hey, this was Orange County!). As the trail wound its way upward, I periodically rounded a corner and found myself running into a brisk headwind. Wind is hands- (and heads-) down my least favorite part of running, but fortunately this was relatively mild and only minimally impeded my progress. Maybe it was my focus on pushing forward up the trail. More likely it was the incongruity of snow in Southern California (and below 3,000ft at that). In any case I failed to register the first few snowflakes drifting around me, until at last my eyes synced with my brain, jarring me back to reality. Sure I’d realized the temperature had been dropping steadily as I’d ascended out of Modjeska Canyon… but shortly before mile three I would’ve pegged it at mid- to high 40s, maybe low 40s with wind chill. Now, watching the first airborne snow I’d ever seen in Southern California, it was clear Mother Nature had upped the ante. Always the optimistic/stubborn runner, I persuaded my brain that: 1) snow was preferable to rain for its consistency; 2) having run only three miles, I couldn’t turn back now; and 3) this was my golden opportunity for a winter wonderland run in the snow, having been denied in Dallas six days earlier when a vigorous Christmas snowfall had followed a freezing rainstorm that coated sidewalks and streets with a thin layer of ice. As I embraced my questionable decision-making and pressed onward toward Modjeska Peak, I did make one allowance for the weather and my soggy state, electing to truncate my run to 12 miles (six up, six down) rather than the intended 16. That way I’d likely catch Laura on my way down as well. But my expectations for this day took a final nosedive as I reached the 3.5-mile mark and the snowfall intensified to – I cannot tell a lie – blizzard proportions. Like a swarm of fluffy white bees attacking my face and body, the swirling snow rode the wind currents downward from the dual peaks of Saddleback Mountain. My primary concern quickly became the ever-increasing stiffness in my finger joints, as numbness threatened to replace all feeling at the ends of both arms. I cursed the #@*&ing bottle of coconut water that was my faithful companion – the only thing worse than holding on it, I considered, would be dropping it. That wasn’t going to happen, and I didn’t want to simply dump out the bottle on the trail. So unfortunately the two of us were in this together to the bitter end. And I was already bitter. Somehow, despite my discomfort and the absurdity of running through a driving snowstorm in a soaked t-shirt and shorts but no gloves, I had one stupid decision left in me, and I resolved to reach mile 4 before turning around. Blame it on mental numbness, but somehow the four-mile mark became the hard and fast limit of what I was willing to concede. So with head down I plowed forward up the trail, swallowing snowflakes and with hands wrapped inside my t-shirt as protection against the biting wind. I was starting to think I’d also lost feeling in my Garmin, when at last it rang out the end of both mile 4 and my uphill trek at a mere 3,113ft. Fumbling with my phone, I awkwardly pounded out a “snowing! turning back now” text to Chuck and Katie with minimal cooperation from the semi-responsive stubs formerly known as fingers. Then I swung a U-turn and launched myself back down the trail, gaining an immediate reprieve from the snow and wind which were now largely at my back. Cruising downhill now, I alternated between shielding both hands in my t-shirt and beating each hand against the opposite forearm to regain feeling and keep the blood flowing, while the chilling effects of my water bottle continued to counteract my efforts. Fortunately the descent proved smooth enough, and soon I caught up with Laura, still struggling up the trail below the snowline around mile 3. “There you are!” she sounded relieved as she saw me squishing toward her. Apparently she’d tried to call me after she’d run through a flurry of hail I’d somehow avoided. Laura regularly competes in (and completes) 50-mile races, but even before reaching the snowline she was ready to turn around. Together we covered ground quickly as I hustled to keep pace behind her dogged downhill stride. I was surprised during our descent to have to sidestep and hurdle so many newly formed puddles and rivers; this was a much different trail than the one I’d felt so sure-footed on just an hour earlier. Finally we reached the Tucker Wildlife Sanctuary, where we found Katie and Chuck waiting out the rain in the car. Owing to the limited cell coverage in the canyon, neither had received my text, and both were more than a little surprised to hear we’d encountered hail and snow on trail. Though I may have been pushing my luck when I claimed to have also seen a Bumble. Still in my wet t-shirt and shorts (though at least I’d brought long pants to pull on over my shorts), and with my belly now full of coconut water, the four of us reconvened for a post-run snack 15 minutes later. From the strip mall parking lot in Mission Viejo we could clearly see Modjeska and Santiago Peaks, each of which was now capped with a very fine but undeniable blanket of newborn white. Though pleased to have my story confirmed so graphically, I was shocked to see how quickly the snow had accumulated. The scene warmed the cockles of my – ah who am I kidding, no it didn’t… I was still shivering from the damp t-shirt and shorts that clung to me like frightened children. As Saddleback Mountain receded in our rearview mirror, my phone beeped with a message from Chuck, who’d finally received my earlier text: “Snow? What idiot told you to run up a mountain?” Unfortunately I’d been denied the long uphill run I’d planned for that day. But I’d gladly trade a few extra miles for one of the more bizarre training runs I’ll likely ever experience, complete with rain, snow, hail, earth, wind & fire (and what a funky day it was). All within an hour of The Happiest Place on Earth. Based on what I saw of it, I’ve no doubt the Harding Truck Trail is tremendous running terrain on just about any other day of the year, and in fact the Harding Hustle in July has now joined my short list of potential summer races. At which time the “fire” part of that forecast may very well come true. In the end, the day added yet another verse to the anthem that runners (and especially trail runners) know all too well, and which author Larry Niven summarized so elegantly: Mother Nature doesn’t care if you’re having fun. She doesn’t care if you’re too hot, or too cold, or hungry, or thirsty, or sunburned, or wind-chapped, or rain-soaked, or well nourished, or craving carbs, or fully hydrated, or chafed, or blistered, or breathless, or numb, or dressed appropriately, or chasing a PR, or lost, or trying out your brand-new trail shoes, or allergic to poison ivy, or scared of snakes, or tired of climbing hills, or roughed up after tripping headlong over a tree root, or unable to see ten feet in front of you, or physically spent, or psychologically exhausted, or a first-timer, or a seasoned veteran, or a prince, or a pauper, or out of water, or in the wrong place at the wrong time when something bigger and stronger than you gets hungry, or trapped with your arm crushed under a boulder and only a dull pocket knife between you and The End, or comfortable in any way. She’s an equal opportunity offender, and she just doesn’t care. Ours may be an abusive relationship, but she’s my kind of lady. Runners have great stories, so I’m curious: what has been your most bizarre/unanticipated running experience?